Epiphany is an adaptable music ensemble of professional musicians offering creative musical events with an emphasis on improvisation and innovation. Most of Epiphany’s musicians play in leading orchestras and ensembles throughout the UK and Europe including the Hallé, Manchester Camerata, BBC Philharmonic, Chamber Orchestra of Europe, CBSO, Northern Sinfonia – to name but a few. We offer a wide range of musical styles – from more formal classical concerts to fully improvised ‘Happenings’. Our improvised events are designed to fully engage with our audience. 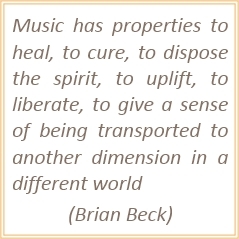 We believe that music is to be expressed in creative ways; that it has a role not just to entertain but also to enhance the quality of life of people by bringing space into their fast-paced, hectic lives, relieving stress and bringing new perspectives. Epiphany is available for booking for concerts, community events, business, church and educational functions, care homes and day centres, private venues, or for whatever you’d like to suggest. 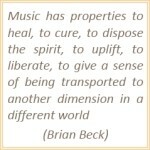 For more information please visit our website: www.epiphanymusic.org.uk.